Police have arrested two more teenagers over a stabbing that left a 16-year-old boy with life-changing injuries. 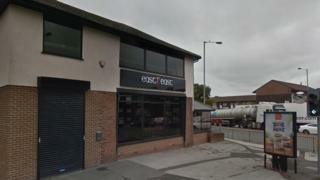 The teenager was injured amid a dispute between youths outside eastZeast restaurant in Bury on Saturday. Two boys, aged 15 and 17, were being questioned on suspicion of violent disorder and assault. A 16-year-old previously arrested on suspicion of violent disorder and possession of a bladed article has been released under investigation. The victim continues to receive treatment in hospital after emergency services were called to Bury New Road at about 21:55 GMT. Chf Insp Jamie Collins said the investigation was continuing as "dedicated detectives are working hard to review all of the relevant footage".